My last weeks in Florence were filled with goodbyes. First, I finished up my volunteer work at the Cooperativa as the students went on their August vacation. I had forgotten the exciting buzz that hovers around the school yard before a holiday. Most everyone in Florence goes to the seaside in August, and I found that many of my students were traveling together with their friends’ families. We finished our airplane project — ceramic planes with rotating propellers! — made more horses, and tried a new project making human figures from clay. We had a fun collage class making roosters and hens, and I learned just how messy paper and glue can be (even compared to clay and glaze!). Goodbyes were bittersweet, but with all of the pre-vacation energy in the air, it was difficult to be too sad. My Italian class ended with a few tears as we had become a close-knit group over the course of the summer. 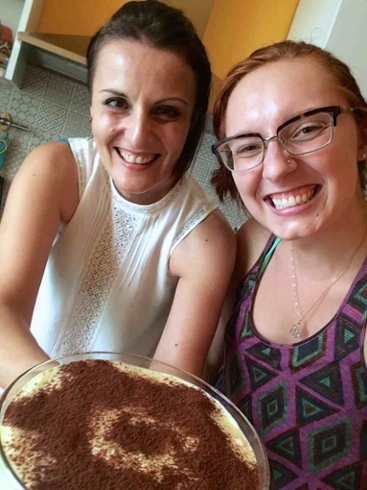 My Italian professor invited me over to her house to learn how to make tiramisu, and we all enjoyed it the next day during our class-goodbye-party, complete with espresso. During the party, one of my classmates who emigrated to Italy from Korea to be an opera singer, preformed a mini-concert for us! He has such an incredible voice, and it was really cool to experience Italian opera in such a friendly setting. I have met so many amazing people in my classes, and we have all come to Italy for completely different reasons. I am also proud to finally be pretty much fluent in the language, aside from some silly grammatical mistakes! 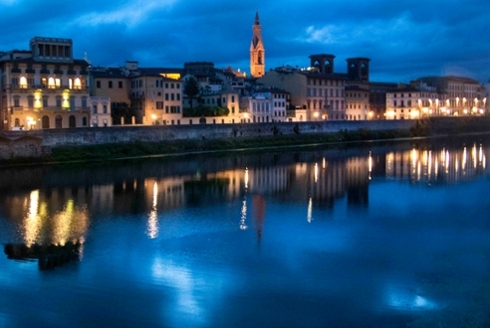 The best part of my last month abroad was definitely working with Florentine photographer, Stefania Talini. Since I had free time from work and school, we were able to meet more often and I was able to work exclusively on my photography project. As I mentioned in my last post, my camera and I were in a weird place in our relationship earlier in the summer. But with more time, the help of my bike, and extra critique time with Stefania, I found my inspiration again. 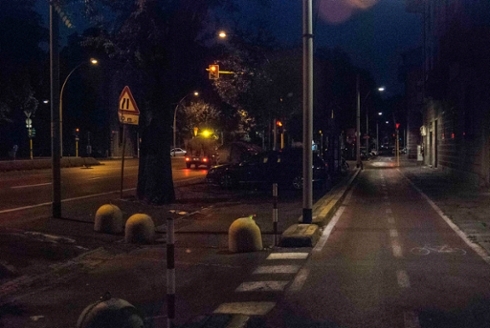 My photo series explores the idea of empty and unseen places. Living in a city famous for its landscapes and architecture, I was visually attracted to scenes that are less accessible to the tourist’s eye and more representative of the version of Florence I came to love. All in all, my PSF project this summer was an incredible learning experience for me. 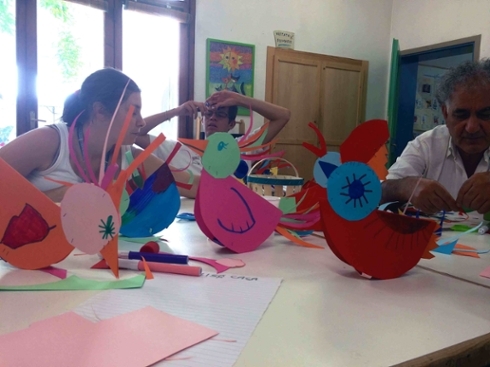 I have a solid footing in my italian language skills, I learned so much about the realities of working in art therapy, I was able to further explore my art, and I am confident that I want to continue working in education and art therapy in the future.